Only with the exquisite, hazily-focused Dr Dee, Albarn has succeeded in alchemically—if not perfectly—transforming cotton and foil into silver and gold. 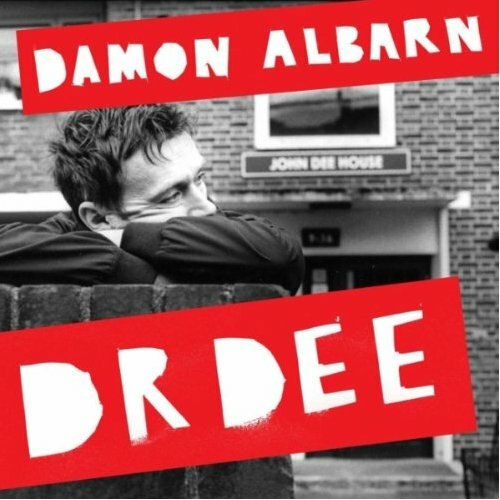 Dr Dee may be a unique stand-alone subject but despite its at times challenging and dense sound, it is a record that fits perfectly into Albarn’s ever-growing catalogue. It’s accessible in parts, immensely challenging in others, and beguiling in its entirety. The Dr Dee soundtrack is a deeply felt but difficult to love entry into Albarn's entirely singular discography. There aren’t any tornados here. Dr Dee is more of a musical fog made for sipping tea while blankly gazing onto a desolate street. Clearly Damon is pleased to be carving a niche in the world of high art, but perhaps ‘Dr Dre The Opera: Nuthin’ But An ENO Thang’ might have served his legend better. Worst of all, Dr. Dee’s just not pretty music. As a piece of music, however, the operatic folk of Dr. Dee doesn't leave much of an impression. Purchasing Dr Dee from Amazon helps support Album of the Year. Or consider a donation? Album Stream: Damon Albarn - "Everyday Robots"